Yes we have selected some of the best year end camera deals, now its your time to act. Get your fav camera in never-before seen price. BTW. it’s very clear that B&H.com is giving you more free accessories compared to Amazon.com with every camera (except Sony A7 II ). Nikon released a firmware update 1.02 for the Nikon D500 camera that will fix certain memory Card issues with the Nikon D500 camera. Keep in mind Nikon will soon announce more updates related to fix some issues related to Nikon D500. 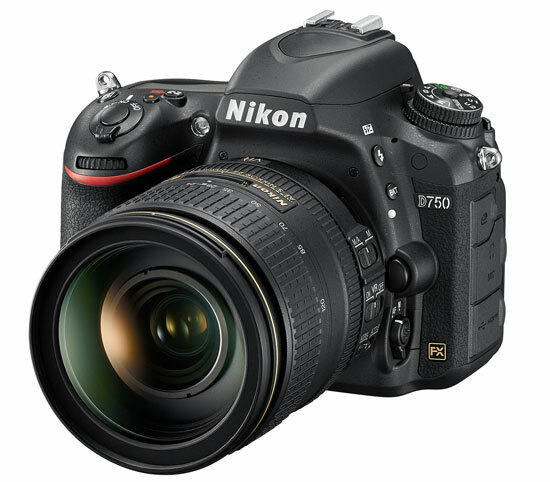 BTW you can look at some the Best lenses available for the Nikon D750 camera. Nikon D750 model is in trouble again, After flare problem Nikon D750 users facing shutter stuck problem worldwide. 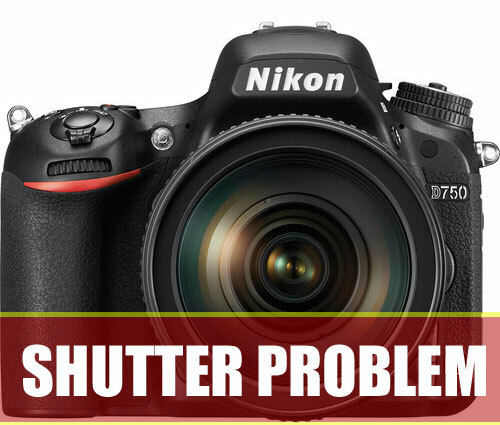 The Latest Nikon D750 shutter problem is reported by many photographers on several online Nikon forums. According to users the camera lock up while taking images at a shutter speed of 1/4000, the problem often occurs when you Just start-up the camera and take images at 1/4000 shutter speed. Once the shutter is pressed the Camera Top LCD Panel will Display ERR warning. 2. Remove the SD Card of the camera, battery and Lens. 3. Finally, if the above two option didn’t work then take out the battery of the camera and leave it for 24 hrs. We are waiting for official response from Nikon related to this issue, follow us and we will update you soon as we get any new information. Nikon issued D750 service advisory for shading from shutter problem, to check whether you camera is affected by the issue, click on the link below and enter you Nikon D750 serial numbers, if you camera is affected by the issue than requesting repair will be displayed. Even is the warranty has expired and your Nikon D750 camera is affected by the issue, don’t worry, Nikon service center will keep your camera, and examine and repair the camera’s shutter free of charge. We have published the news on December 23rd, 2014 that Nikon D750 is showing some flare issues, Now Nikon USA finally issued a statement on the Nikon D750 flare issue, they will repair the camera free of Cost, to check weather your camera is affected or not you have to enter your camera serial number at Nikon website . As you can see in the image that the black dot inside the tripod socket indicated that your camera is already repaired. Take a look at the press release below. We have received indications from some users that when photographing scenes in which a bright light source, such as the sun or high-intensity lighting, is at a certain position along the top border of the frame, flare with an unnatural shape may sometimes occur in images captured with the D750 digital SLR camera. To check whether or not your camera is one of those affected by this issue, click Check Your Serial Number below and enter your D750’s serial number as instructed. Results for the serial number entered will be displayed. If these results show that your camera is one of those affected, instructions for requesting service will be displayed. If your camera is not one of those affected, rest assured that you may continue using your camera without concern for this issue. 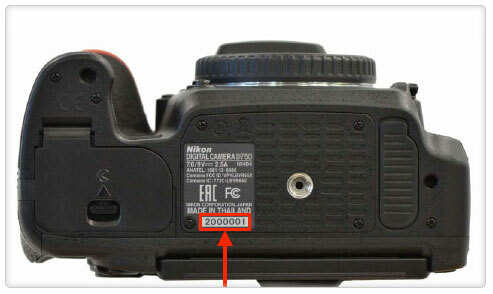 Please note that even if a camera’s serial number identifies it as one affected by this issue, a black dot inside the tripod socket on the bottom of the camera, like that shown in the photo below, indicates that the measures to resolve this issue as indicated below have already been applied. If your camera is affected, as confirmed with serial number check above you will be provided with information on requesting service from your nearest Nikon service center. The service center will inspect and service light-shielding components, and adjust AF sensor position, to resolve the occurrence of unnaturally shaped flare free of charge. This service will not have any effect on autofocus precision, or on the performance of other camera functions. Please understand that even with these measures, all digital SLR cameras may experience flare when backlit scenes are being captured. We are currently looking into measures to address this issue. Further details will be announced as soon as they are determined. According to the latest reports published at giant rumor mills not all Nikon D750 camera have the same issue, stay with us and we will update you as soon as we get any information. As we have recently seen the Nikon D600 sensor oil issue problem (see here, here and here) and the attitude of Nikon over it and just after that Nikon D750 , all these issue are not generating good marks on consumer mind.